Dr. Carpet Orange full proof carpet cleaning service. Our carpet cleaning service in second to non. We emphasize the true calling of this service, carpet cleaning. There are many methods today to clean your carpet. However, in order to build a successful business we understand the need for quality service. 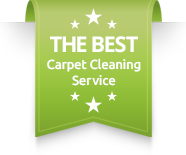 Therefore, we choose to take the road of the best carpet cleaning procedure. By doing so for over 10 years we have built our reputation and business model in more areas around Orange County, CA.Our carpet cleaning method of choice is a truck mounted deep steam cleaning. To this day the only way recommended by carpet manufacturers for carpet cleaning is steam cleaning. Moreover, it is preferred to use a truck mounted system as it provides the right amount of pressure and heat. However, in some cases where the truck can not reach, a strong portable carpet cleaning unit is also a great solution. Dr. Carpet Orange carpet cleaning process. Walk through and full detection of all possible types of stains and residue. Application of the corresponding product to the right stain. Application of shampoo on the entire carpet. Steam cleaning and sucking out the combined residue. Repeat in case it is necessary. 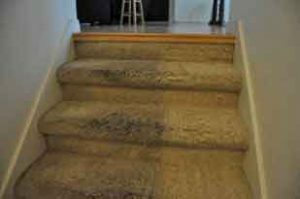 Our carpet cleaning service in Orange, CA.The city of Orange has a variety of home types and commercial buildings that we serve. From studio apartment units and all the way to hotels and large commercial buildings, we clean and maintain all types. In addition, Orange is known for the many beautiful homes that are decorated with the best furniture and flooring. Therefore, Our detailed carpet cleaning process is on high demand in Orange, CA. For over a decade we were able to provide you with the best carpet cleaning service. Also, we were able to keep many of your carpets at pristine condition for many years.Our loyal carpet cleaning customers have been with us from the beginning, and still enjoy that same carpet we worked on. We would like to thank our loyal customers of Dr. Carpet, and we do so every time we see you again.For more information about our carpet cleaning in Orange or anywhere else in Orange County, please contact Dr. Carpet Orange.